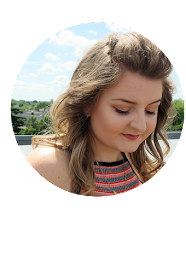 Today i'm sharing a few new products i've been using over the last couple of weeks ready for the summer! My skin like many others can change and be temperamental when the weather changes. My skin tends to go very dry and I have alot of breakouts! Since finding out that i'm pregnant my skin has been even worse, really really dry. First up i've been loving this Avene Thermal Spring Water*! For the last few days we've been having a heat wave and it's been HOT! This spray is a lovely spritz of water which i've been spraying all over my face and body to cool me down and feel refreshed. It's really calming and perfect for those with sensitive skin. It's been amazing at cooling me down and it leaves my skin feeling great. La Roche Posay is one of my favourite brands so I picked out the Lipikar Baume AP+* which is a balm that is perfect for really dry skin. It re-hydrates the skin and again is perfect for sensitive skin and is even suitable for babies and children. I've also been loving the Bioderma Atoderm Gel Douche* which is a shower gel for dry skin. It's a gentle foaming cleanser which again is suitable for the most sensitive skin. It has a really light fragrance which has made it perfect for during my pregnancy. It's really gentle and leaves the skin feeling soft and clean, very refreshed. I've been loving my new skincare products from HelloSkin They stock so many amazing brands and have lots of great products in stock. The website is so informative with lots of information about each products including ingredients, reviews, side effects, precautions and much more. * Disclosure: This post is a review of products I was sent for free. All opinions are my own.